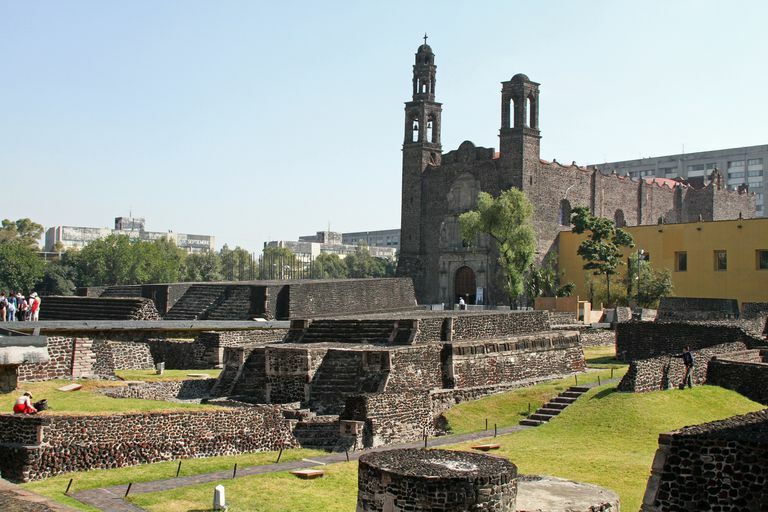 The ruins of Tlatelolco's main temple lie in front of the colonial church of Santiago. The Aztec religion was made up of a complex set of beliefs, rituals and gods that helped the Aztec/Mexica to make sense of their world's physical reality, and the existence of life and death. The Aztecs believed in a multiple-deity universe, with different gods who reigned over different aspects of Aztec society, serving and responding to Aztec specific needs. That structure was deeply rooted in a widespread Mesoamerican tradition in which concepts of the cosmos, world, and nature were shared across most of the prehistoric societies in the southern third of North America. In general, the Aztecs perceived the world as divided into and balanced by a series of opposing states, binary oppositions such as hot and cold, dry and wet, day and night, light and dark. The role of humans was to maintain this balance by practicing appropriate ceremonies and sacrifices. The Aztecs believed that the universe was divided into three parts: the heavens above, the world in which they lived, and the underworld. The world, called Tlaltipac, was conceived as a disk located in the middle of the universe. The three levels, heaven, world, and underworld, were connected through a central axis, or axis mundi. For the Mexica, this central axis was represented on earth by the Templo Mayor, the Main Temple located at the center of the sacred precinct of Mexico—Tenochtitlan. The Aztec Heaven and underworld were also conceived as divided into different levels, respectively thirteen and nine, and each of these was overlooked by a separate deity. Each human activity, as well as the natural elements, had their own patron deity who overlooked different aspect of human life: childbirth, commerce, agriculture, as well as the seasonal cycles, landscape features, rain, etc. The importance of connecting and controlling the cycles of nature, such as the sun and moon cycles, with human activities, resulted in the use, in the pan-Mesoamerican tradition of sophisticated calendars which were consulted by priests and specialists. The prominent Aztec scholar Henry B. Nicholson classified the numerous Aztec gods in three groups: celestial and creator deities, gods of fertility, agriculture and water and deities of war and sacrifices. Click on the links to learn more of each of the main gods and goddesses. Nicholson, Henry B., 1971, Religion in Pre-Hispanic Central Mexico, en Robert Wauchope (ed. ), Handbook of Middle American Indians, University of Texas Press, Austin, Vol. 10, pp 395-446. Van Tuerenhout Dirk R., 2005, The Aztecs. 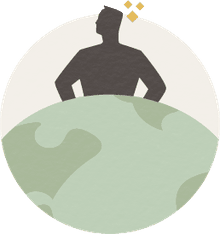 New Perspectives, ABC-CLIO Inc. Santa Barbara, CA; Denver, CO and Oxford, England.